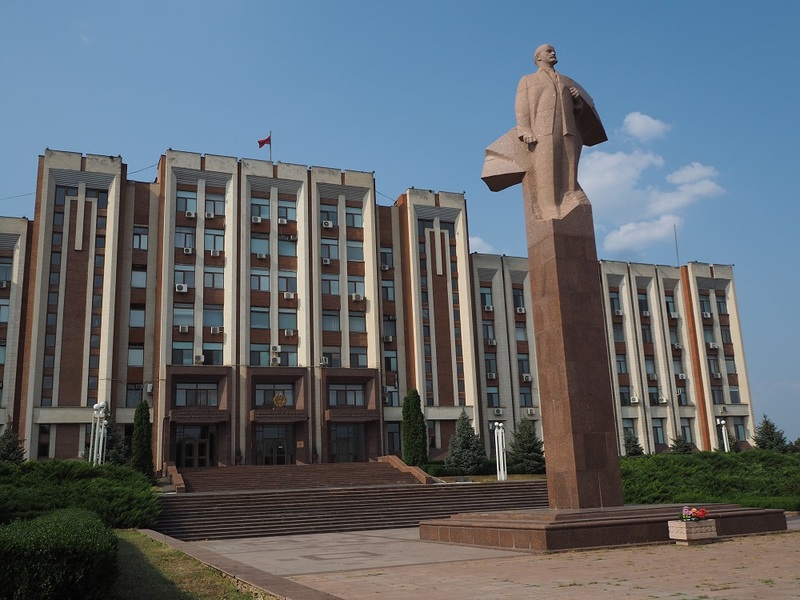 A bust of Lenin outside the House of Soviets in the capital, Tiraspol. Transdniestr is one of the strangest places I've visited. It's a kind of time capsule - the guidebook calls it a Soviet theme park - where you feel like you're stepping back into the Soviet Union. 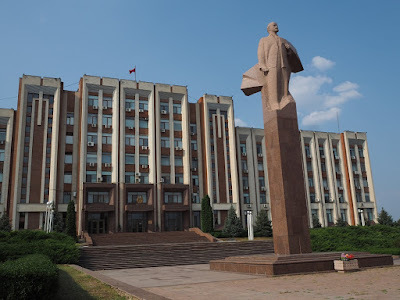 It's a self-proclaimed independent republic (also called Transnistria, or Pridnestrovie in Russian) occupying a narrow strip of land on the eastern edge of Moldova, along the Dniestr River. 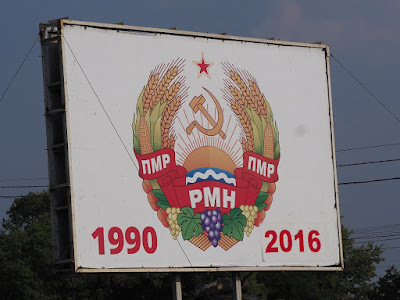 It's a Russian-speaking area that wasn't happy about ending up in mostly Romanian-speaking Moldova when the USSR fell apart, and broke away in a bloody civil war in 1992. An uneasy truce, watched over by Russian peacekeepers, has held ever since. What's fascinating is the way Transdniestr has held on to the symbols and some of the habits of the Soviet Union. 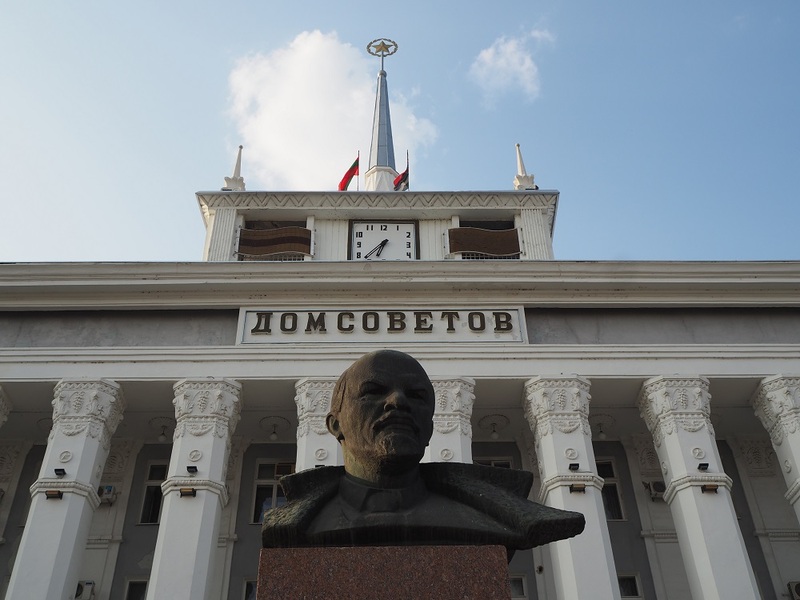 Statues of Lenin still glower over its main street; its coins and propaganda billboards still display the hammer and sickle; and its streets are quiet and orderly, in stark contrast to the chaos of Moldova. I got a permit to stay for 24 hours and slept in a hotel that hasn't changed since Soviet days. Anyone who says time travel is impossible hasn't been to Transdniestr. 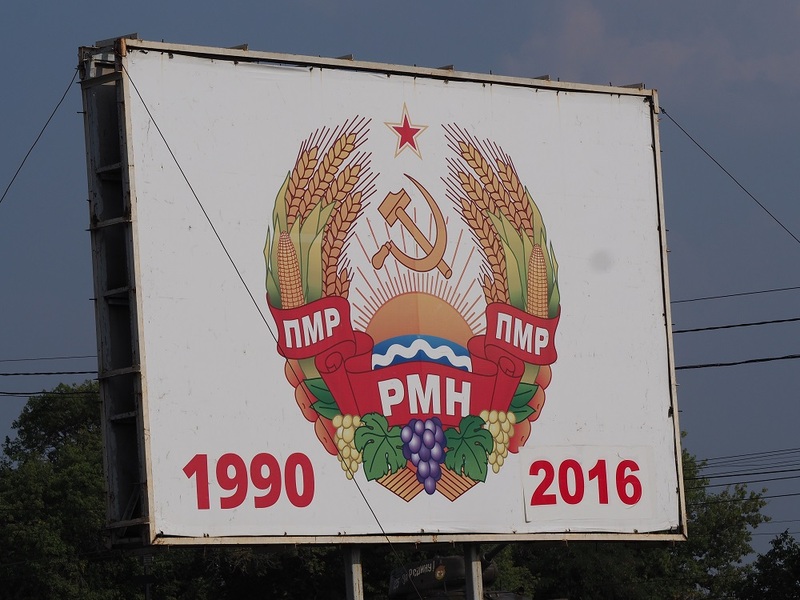 The coat of arms features the hammer and sickle. 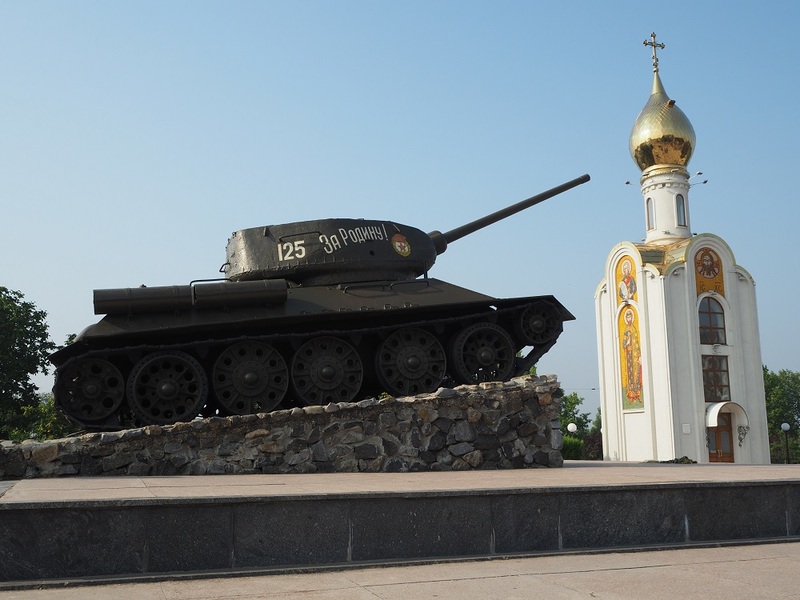 Monuments to the 1992 war are everywhere.